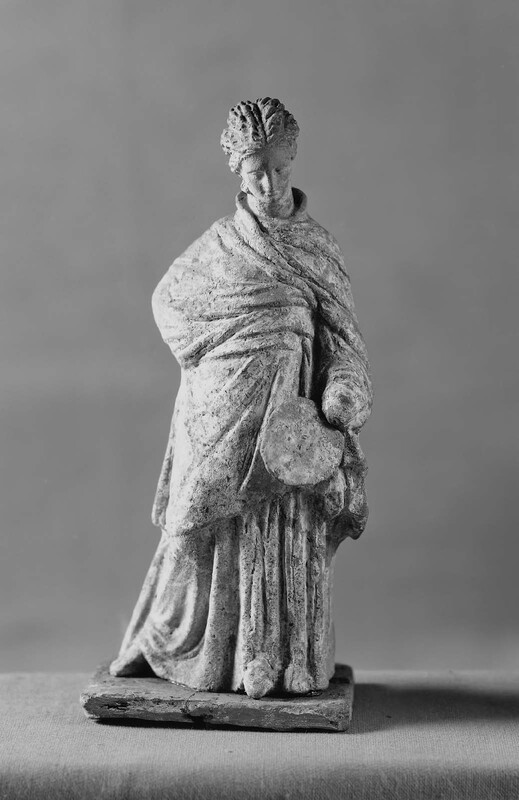 Statuette of a standing woman. Holds a fan in left hand. Traces of blue on himation, red on fan, red-brown on hair.